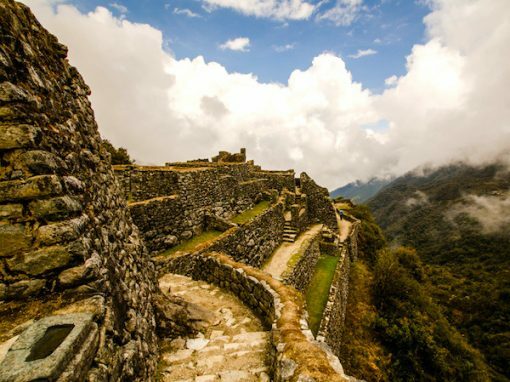 It’s no wonder Machu Picchu is on many a bucket list. 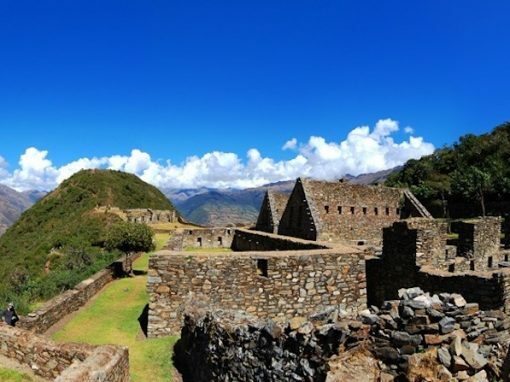 This spectacular, mysterious, ancient Inca ruin site captivates the heart and soul. 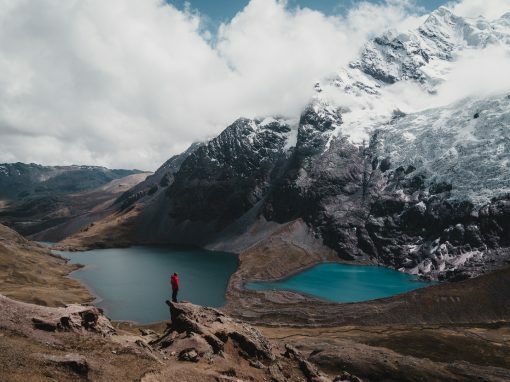 For adventure junkies, there are numerous, stunning, multi-day treks that end in Machu Picchu, the most notable being the Classic 4 Day Inca Trail. 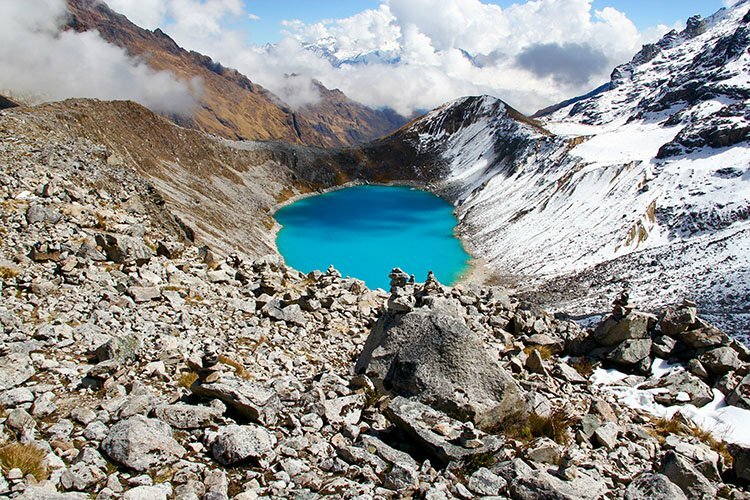 For those who prefer off-the-beaten-path treks, we offer several breathtaking trails. For those who do not want to hike or camp we offer a variety of relaxing train tours to Machu Picchu. Check this incredible travel destination off your list this year! Killa Expeditions is dedicated to excellent customer service and adventure experiences. We are also proud of the fact we do not charge extra to “upgrade” as we offer the best option included in the price already. There are no hidden meal costs and best of all no booking fees! Contact us if you need some guidance in choosing which trek is best for you! SELECT A TREK, EASY AS 1, 2, 3, 4! Know which trek or tour you want to go on? Awesome! Check our open, guaranteed group departures! Don't see your dream trek or tour listed? No worries, we offer daily departures for any trek or tour. Request the trek and date you want here! Have questions before you book? Get in touch! We are here to help you realize your adventure dreams! Itinerary is subject to change. Peru is a developing country and because of this the company cannot guarantee that everything will go according to plan. Events may occur that are beyond our control and could force us to change the itinerary (examples: strikes, road blocks, road work, landslides, natural disasters, inclement weather, flight cancellations, train problems, etc). The company accepts no liability for these problems but we will do our best to change the itinerary and ensure the smoothest trip possible. Additionally, sometimes service providers in Peru increase their prices with little or no notice (example: train, flights, entry fees to ruin sites). When this happens will we notify you of the price increase and tour cost change. Please see our terms and conditions for full details. We require that you purchase personal travel and medical insurance and also look into your health care coverage overseas. Please be sure you have adequate travel/medical insurance to deal with any health emergencies or travel interruption, and associated costs, that might occur. Killa Expeditions LLC is not responsible for any costs incurred due to delayed flights, lost baggage, medical problems, etc. Please keep track of all of your personal items at all times. The company is not responsible for loss of personal effects. All trekkers will be required to sign an accident waiver and medical status form prior to departure. All treks have a briefing the night before departure and all questions can be answered at that time by your guide or office staff. However, any questions you have about the treks before or after booking please feel free to contact us. 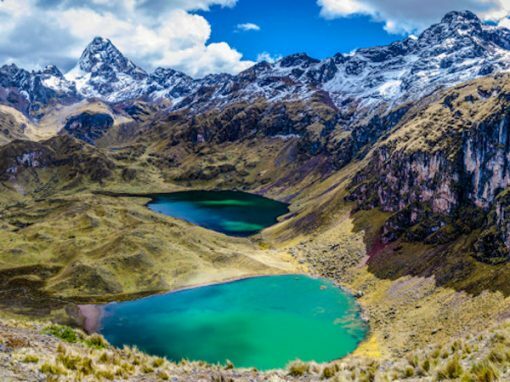 We also have a lot of information about Cusco that we can provide, hotels and restaurants we can recommend and offer discounts to, and we can also arrange any special, custom travel needs you may have - just ask! After each trip or tour, your guide will provide you with a survey report to fill out about your overall satisfaction. Please be honest and make suggestions where you feel they are warranted, but please do be realistic and keep in mind you are in a foreign, developing country with different cultural values and not everything you have grown accustomed to and expect in your country is available here. If you have questions please do not hesitate to contact us. Thank you for booking and/or traveling on a Killa Expeditions tour with Killa Expeditions LLC. (“Killa Expeditions”). These Terms and Conditions apply to any travel products and/or services purchased from Killa Expeditions, and govern the contractual relationship between you and Killa Expeditions with respect to any such travel products and/or services (hereinafter, the “Products”). 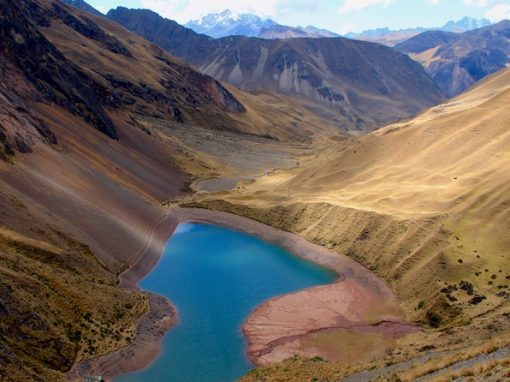 All Killa Expeditions Peru based treks and tours are operated by Killa Expeditions with the exception of the Inca Trail 4D/2N where we may partner with other tour companies for use of their permits. Our guides, chef, itinerary, and menu all remain the same as on other Killa Expedition tours. Treks and Tours based in other countries are through affiliate companies and are listed as such on each product on the website. Please read these Terms carefully as by booking any Product with Killa Expeditions, or by travelling on a Killa Expeditions tour or Product you acknowledge that you: i) have read and understand these Terms, and ii) indicate your express acceptance of and agree to be bound by these Terms. If you have confirmed a booking on any Products with more than one client named and booked on such booking, you shall be deemed to have accepted these Terms and Conditions (the “Terms”) on behalf of all clients named in the booking (including minors and those under a disability) and travelling on or otherwise participating in any Products (hereinafter “you”, the “Client(s)”), and by such travel or participation all passengers indicate their assent to these Terms. The client who confirmed the booking is deemed to be the designated contact person for all other clients named in such booking. Killa Expeditions will endeavor to accommodate the special requests of Clients, including (without limitation) dietary and accommodation requests, but such requests do not form part of these Terms or the contract between Client and Killa Expeditions and Killa Expeditions is not liable for any failure to accommodate or fulfill such requests. Client Age Requirements: Clients aged 18 at date of first travel are deemed to be adults. On all Products an adult Client over the age of 18 must accompany every 2 Minor Clients (defined as Clients under the age of 18). Unless otherwise indicated in the tour description, or otherwise by Killa Expeditions, the minimum age for Clients travelling on tours is 12 years. Minors: All Minor Client bookings are subject to review and approval by Killa Expeditions. If the consent of a parent or any other person is required by applicable law, judgment, or decree for any Minor Client to travel, the accompanying adult Client is responsible for securing all such proper consent and ensuring that they and the Minor Client meet all legal requirements to travel on the applicable Family Trip and to enter into and depart from applicable countries and regions. Killa Expeditions will not be responsible for any fees, damages, or losses incurred as a result of any failure on the part of a Client to secure such necessary consents, permits, and approvals. Each Adult on a booking with any Minor Client is joint and severally responsible for the behavior and wellbeing of all Minor Client(s) on such booking, and expressly accepts these Terms on their behalf, including all assumptions of risk and limitations of liability contained herein. Each Adult on a booking with any Minor Client assumes all responsibility for supervising and monitoring such Minor Client(s). Killa Expeditions does not provide care services for Minor Client(s) and Killa Expeditions and its representatives expressly disclaim any responsibility for chaperoning or controlling any Minor Client(s). Family Tour Requirements: In order to book any Products designated on Killa Expeditions website, in relevant brochures, or otherwise indicated by Killa Expeditions to be a “Family Tour”, Clients must be travelling as part of a “Family Unit”. A “Family Unit” shall consist of a group of two or more Clients, travelling and booking together, where at least one such Client is a child in the care of at least one of the accompanying adults. One child may accompany one or more adults for the purposes of being considered a “Family Unit”. Killa Expeditions reserves the right to cancel the booking of any Clients travelling or purporting to travel on a Family Tour who, in its sole discretion, do not properly constitute a Family Unit in accordance with this section or otherwise do not meet Killa Expeditions’ requirements of participation in a Family Tour. CLIENT ACKNOWLEDGES THAT IS MANDATORY THAT ALL CLIENTS OBTAIN TRAVEL INSURANCE WITH A MINIMUM MEDICAL, EVACUATION, AND REPATRIATION COVERAGE OF US$200,000 covering all applicable dates of any travel with Killa Expeditions and this insurance must cover personal injury and emergency medical expenses. Prior to each Product tour, a Killa Expeditions Tour Leader or other Killa Expeditions representative will verify that all Clients have such insurance in place and coverage as per the required amounts above. It is strongly recommended and encouraged that Client’s also extend their coverage to include cancellation, curtailment, and all other expenses that might arise as a result of loss, damage, injury, delay or inconvenience occurring to the Client. The Client acknowledges that the cost of the tour does not include any insurance coverage for such Client, and that the Client is required to obtain separate coverage at an additional cost to the Product tour price. When obtaining travel insurance the Client must ensure the insurer is aware of the type of travel to be undertaken so that the insurer may properly cover travel on the applicable Killa Expeditions Product. 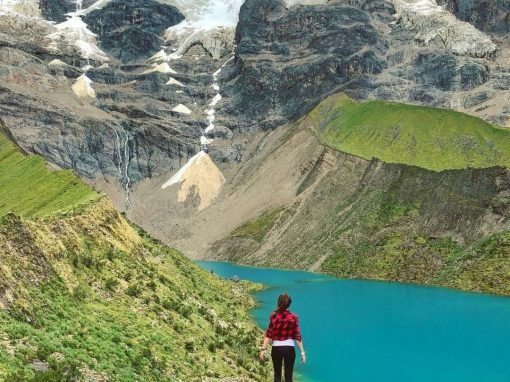 Tours and Independent Tours: At time of booking any Product a non-refundable deposit (varies based on tour) as applicable, per person per tour is due from the Client to Killa Expeditions. If the booking is made 30 days or less prior to departure, full payment is due at the time of booking. The non-refundable deposit should be sent to Killa Expeditions or to the authorized Agent through whom the Client has booked, depending on the original form of booking. Product tour prices do not include international airfare or any other flights unless expressly mentioned in the inclusions. Killa Expeditions will quote the best price available at the time of quoting for the travel dates requested. Quotes provide an indicative price only, and represent no price commitment by Killa Expeditions or the applicable airline(s). Killa Expeditions acts only as a sales agent for the applicable airline and the terms and conditions of the air ticket apply to the purchase and use of such ticket. Please consult the air carrier’s applicable terms and conditions and/or conditions of carriage for important information regarding cancellation terms, limitations of liability, and other disclaimers. Killa Expeditions is not responsible for changes in air itineraries or flight times and does not provide advice or alerts regarding air tickets or flight status or delays. Clients should refer to the confirmation invoice sent by Killa Expeditions and/or its authorized agent and/or their applicable confirmation email for details regarding final payment for any Products booked. Payment of the balance of the price for any Product is due 60 days before the departure date of the first Product to depart (of the Products included in such booking). If full payment is not received by such due date, Killa Expeditions may change the rate payable for the Product, or may treat the booking of such Product as cancelled and shall retain the deposit paid on booking as a cancellation fee, at Killa Expeditions’ sole discretion. If a Product is booked less than 60 days before the departure date of the first Product to depart (of the Products included in such booking) then the full amount is payable at the time of booking in order for the booking to be confirmed. If, for any Product, payment terms differ from those outlined in this section, the applicable terms will be communicated to the Client prior to booking and shall also be detailed on the applicable invoice. Killa Expeditions is not responsible for any charges levied or charged by third parties and/or financial institutions and payable by the Client as a result of credit card or other payment transactions in connection with the purchase of Products and will not refund or return any fees charged by such third parties in connection with payments made by Clients to Killa Expeditions. A Client may cancel their booking by notifying Killa Expeditions or their booking Agent, where applicable. The applicable cancellation fees shall be determined with reference to the date on which the request to cancel is received by Killa Expeditions and are expressed hereinafter as a percentage of the total price paid for the cancelled Product, excluding any insurance products. Cancellation for Trek or Tour Product: Initial deposit is non-refundable (a) Cancellation received 60 days or more before departure of first Product to depart in relevant booking: 60% of the Product total shall be refunded to the Client (Inca Trail excepted where 25% of the Inca Trail product total shall be refunded to the Client). (b) Cancellation received 59-30 days before departure of first Product to depart in relevant booking: an amount equal to 25% of the total Product shall be refunded to the Client. 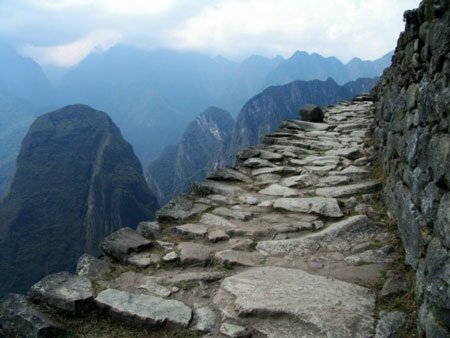 (Inca Trail excepted where no refund shall be payable to the Client). (c) Cancellation less than 30 days before departure of first Product to depart in relevant booking: no refund shall be payable to the Client. WE MAKE BOOKING YOUR ADVENTURE EASY! How to Book: once you choose a trek or tour there are several easy ways to book with us! Check the Calendars: view the Calendar for each trek/tour above by clicking the book it now button for your selected adventure. Select the date that works for you and book using our seamless, secure online system. Also, see some of our open group treks listed above for guaranteed departures. Request a Trek or Tour: If your adventure or desired date is not listed on the calendar - request it via our online system or by contacting us. 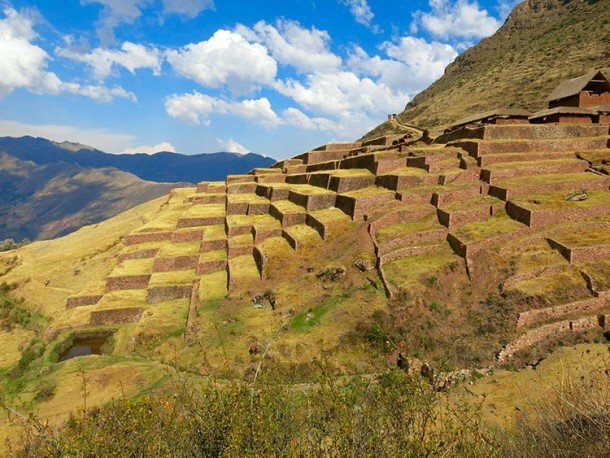 For the Inca Trail - please email us to request this trek at least 5 months in advance as permits need to be checked prior to booking. We can depart on any trek on any date with a minimum of 2 people! Contact us: Don't want to book online? Have a private group or want to build your own adventure? We can help you book over the phone. Give us a call at +1 (619) 736-TREK or drop us a line at info@killa.moderndesignmedia.net and leave your number and we will call you back! Specialty Trips - got a group that needs something special? Want a vegan menu? Need a Sign Language interpreter? Want a Doctor on your trek? Have a corporate or charity event to plan? Looking to go on a specialized Photography tour? 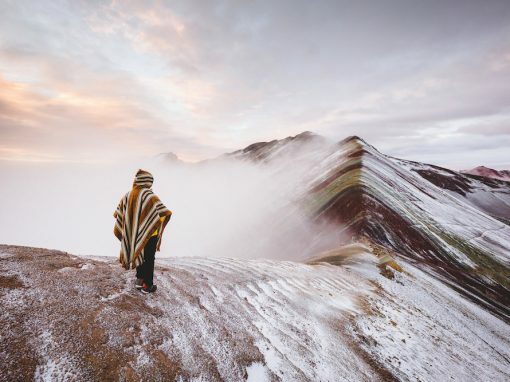 Want a taste of Peru customized all-inclusive holiday? Hankering to do some charity work? 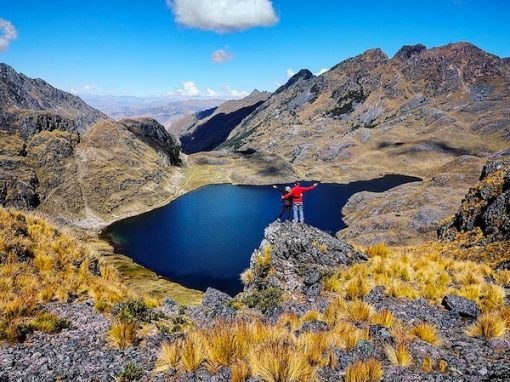 Want to build your own trek and tour adventure to see the best of Cusco? Want to do yoga or meditation on the trail? We specialize in alternative and custom trips and can arrange all this and more, just ask! Book it! - In order to secure your spot on one of our adventures we require a 250 USD deposit (to cover train tickets, entrance fees, etc) and a copy of your passport bio page for any trek. Confirmation email - will be sent out after you've booked your trek/tour. Phone call or video chat - we like to connect with each and every one of our guests to ensure all questions have been answered and that you have an incredible experience! Let us know if you'd like to schedule a call or video chat? If you're local (San Diego) we are happy to give an in-person talk to your group! Reminder email and Trip payment - will be sent to you prior to your trek/tour date and the balance of the trip cost will be auto-debited via the reservation system 30 days prior to departure. Pre-Trek Briefing - Once you are in Cusco, prior to your trek departure date, your guide will provide a pre-trek briefing to explain the ins and outs of the trek and answer any questions you may have. Prices/Payment - Prices listed in the table below are valid for 2018 and are per person for groups of 6-10 guests for alternative treks or 7-10 guests for Inca Trail treks. Prices for smaller groups, private or custom trips differ. Please see each trek/tour webpage or contact us for details. To reserve your spot on one of our treks we require a non-refundable $250 USD deposit, with the balance due 30 days prior to departure.